We are all having so much fun with the Fall Challenge, linking up with each other that we decided to create a link up so we could keep the fun going. 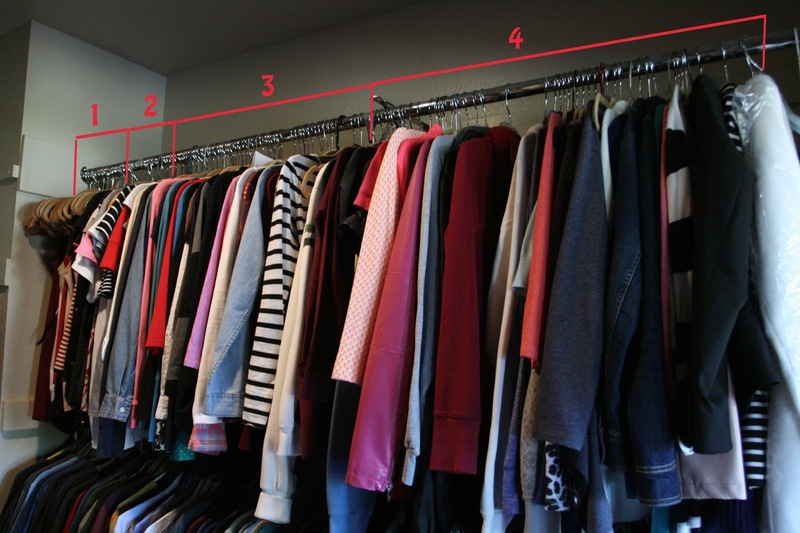 This week the top is a peek into our closets/organizational tips. I can't say much for the organizational tips, but I can show you my closet. When we moved into our house, Mr. re-did the closet for me, and gave me as much hanging room as possible. And then I bought those small thin hangers so I could get as much in as possible. I might have a problem. You decide. 1) Dresses: this includes the 7 weddings I've been a bridesmaid, and all the random dress I've worn to weddings, I never get rid of a fancy dress, you just never know. See what I've showed you? Those are Mr.'s the rest are mine...yikes! and one last spot in my bathroom, under my sink. 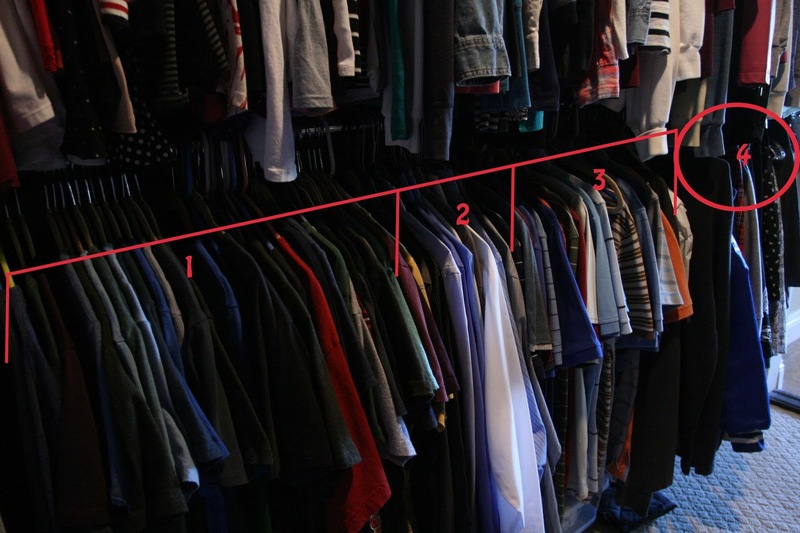 So that's my closet and my organization tips (okay just one, but it's something). 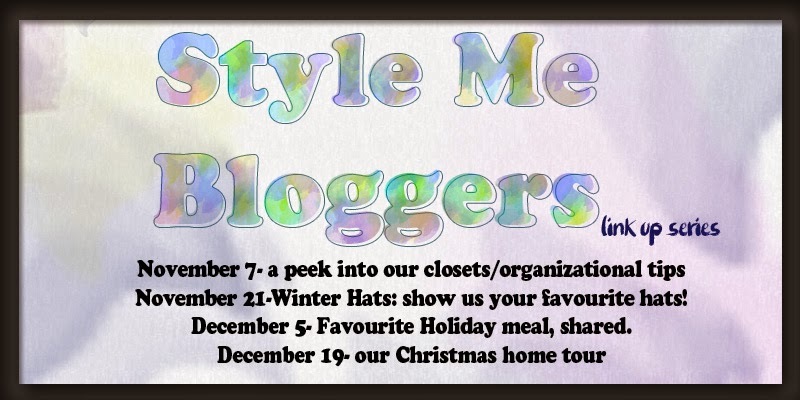 Now go check out some other bloggers and see what they're closets look like. I'm most excited for Deena, I've seen her closet in the background, but never in pictures. I am bookmarking this post...when someone tells me I have too many clothes...I'm going to reference this and tell them I could have more!! HAHAHAHA!!! Awesome closet/organization!!! That is a very good plan! Not sure if I should say thank you, and/or make sure my husband doesn't see this comment and be slightly embarrassed with how many clothes I have, hehe. 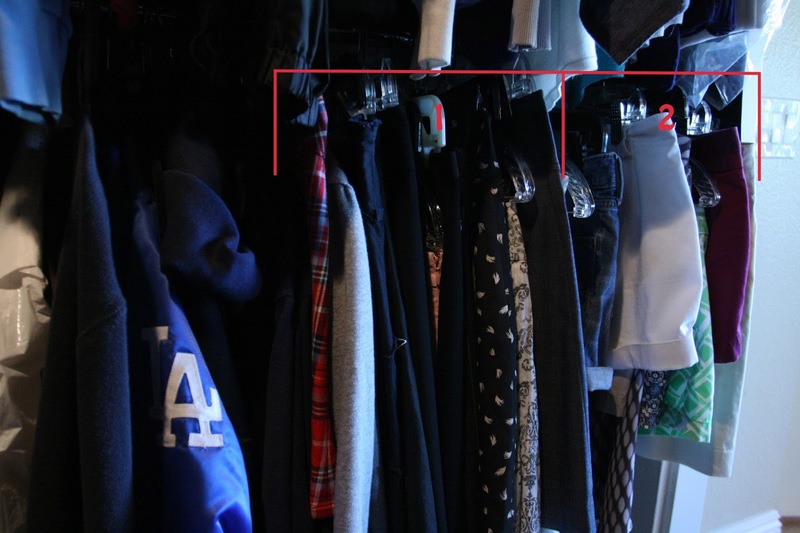 I love how organized your closet is! Great idea on the jewelry storage - I might give that a try! yes you definitely should! Since I started organizing it like that, it's made my life so much easier! Now that is one very organized closet! Thanks for sharing! Lovely! I like the way you are encroaching on Mr.'s closet space. I am doing the same with my Mr. Poor guy! 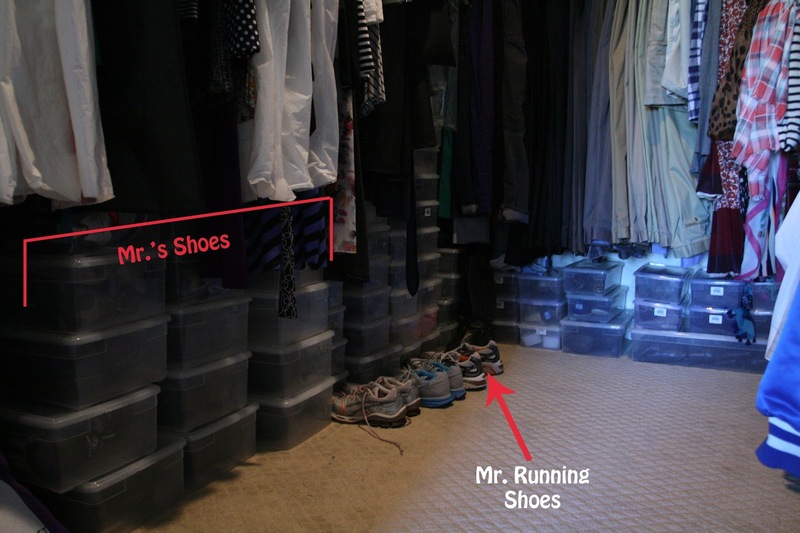 How well do the plastic shoe boxes work for your shoes? I like being able to see my shoes but I really don't like my shoe racks! Your cute labels on your pictures are a great idea. What program allowed you to do that? Thanks for the great ideas. WHOA! I'm totally coming to raid your clothes and shoes and accessories! 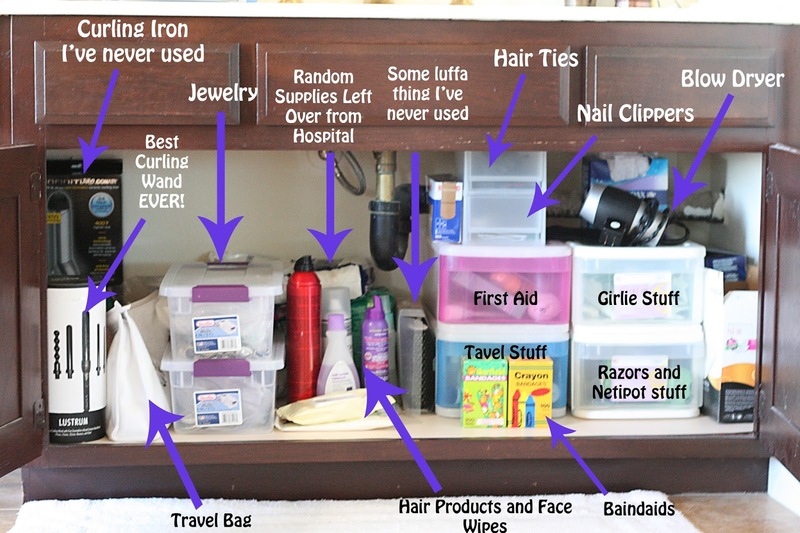 You have an awesomely organized closet and holy bins, batman! You get the queen of organized crown. Luckily you to have such a big closet and nicely organized!